Sabine Schülting’s research interests include early modern cultural encounters, gender studies, Shakespeare, the reception of Shakespeare in the 20th and 21st centuries and Victorian culture and literature. She is the general editor of Shakespeare Jahrbuch; her recent publications include co-edited essay collections on Early Modern Encounters with the Islamic East (2012), on Shylock nach dem Holocaust (2011), and a book-length study on Dirt in Victorian Literature (2016). 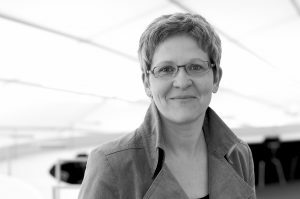 Sabine Schülting will co-supervise two MOVES research projects: “Typology of Migration Myths: Theoretical/Methodological Questions” and “The Impact of Migration on Historical Change and Its Interpretation”.